Meet the real Justice League: the federal courts that, over the past several decades, have issued rulings that decided the fates of superheroes, robots, zombies, mutants and entire galaxies. Here are ten court rulings that meted out justice in the world of nerdery. In 1996, Toy Biz, a Marvel Enterprises subsidiary, sued the U.S. Customs Service and urged a federal court to declare that its X-Men action figures imported from China were not "human." At the time, tariffs placed higher duties on dolls than on other toys. According to the U.S. tariff code, dolls are defined as representations of human beings, while figures representing animals or "creatures," such as monsters and robots, are deemed toys. By legally stripping the X-Men of their humanity, Toy Biz would pay significantly lower taxes. The case dragged on for several years in the U.S. Court of International Trade, as Judge Judith Barzilay scrutinized more than 60 X-Men action figures and considered the opposing arguments. Toy Biz declared that the action figures "stand as potent witnesses for their status as nonhuman creatures," noting that they possessed "tentacles, claws, wings or robotic limbs." The U.S. Customs Service, however, argued that each action figure was a human being whose enhanced abilities reflected a "distinctive individual personality." Wolverine, the federal legal team said, was simply "a man with prosthetic hands." First, most of the figures at issue exhibit at least one non-human characteristic. The court does not agree with Customs that the few non-human characteristics the figures possess, such as claws or robotic eyes, "fall far short of transforming [these figures] into something other than the human beings which they represent"
Second, these Marvel characters are known in popular culture as "mutants. "….They are more than (or different than) humans. These fabulous characters use their extraordinary and unnatural physical and psychic powers on the side of either good or evil. The figures' shapes and features, as well as their costumes and accessories, are designed to communicate such powers. Third, the "X-Men" figures are marketed and packaged as "mutants" or "people born with `x-tra' power." That they are denoted as such by the manufacturer or the importer lends further credence to the assertion that they represent creatures other than (or more than) human beings. "Don't fret, Marvel fans, our heroes are living, breathing human beings — but humans who have extraordinary abilities….A decision that the X-Men figures indeed do have 'nonhuman' characteristics further proves our characters have special, out-of-this world powers." But, fans were not mollified, including Chuck Austen, who, one year earlier, had become the writer of the "Uncanny X-Men" comics. He had worked hard, he said, to emphasize the X-Men's humanity, to show "that they're just another strand in the evolutionary chain." In 2004, an official at Wisconsin's Waupun Correctional Institution received an anonymous letter from an inmate. The letter expressed concern that a small group of prisoners were forming a "D&D gang" and were trying to recruit others to join by passing around their D&D publications and touting the "rush" they got from playing the game. In response, prison officials banned D&D, and confiscated all game-related materials. Inmate Kevin T. Singer, a D&D enthusiast since childhood, argued that the ban on D&D violated his First Amendment right to free speech and his Fourteenth Amendment rights to due process and equal protection. He explained that the policy was intended to promote prison security because co-operative games can mimic the organization of gangs and lead to the actual development thereof. Muraski elaborated that during D&D games, one player is denoted the "Dungeon Master." The Dungeon Master is tasked with giving directions to other players, which Muraski testified mimics the organization of a gang. Muraski's [also] asserted governmental interest in the D&D ban was inmate rehabilitation. He testified that D&D can "foster an inmate's obsession with escaping from the real life, correctional environment, fostering hostility, violence and escape behavior," which in turn "can compromise not only the inmate's rehabilitation and effects of positive programming but also endanger the public and jeopardize the safety and security of the institution." I'm trying to imagine what a D&D-inspired gang fight would look like. Would inmates have "chaotic evil" and "lawful good" tattooed on their forearms? Would they swing dice bags at one another, or use +3 shivs of protection? Anyway, the court sided with the prison officials—but not without generating some controversy within the legal community. Ilya Somin, an associate professor of law at George Mason University, posed the question, "Should prisons ban 'The Count of Monte Cristo' on the grounds that it might encourage escape attempts?" Somin also said the prison's action was reminiscent of a media frenzy in the 1980s surrounding the supposedly pernicious effects of gaming. "Ideally, you should really have more evidence that there is a genuine harm before you restrict something." On July 20, 2011, protesters gathered in Chattanooga, Tennessee, to oppose a plan by the Tennessee Valley Authority (TVA) to revive construction of an uncompleted nuclear power plant. The protesters dressed up as the undead, describing the power plant as a "zombie" reactor that had "previously been killed and then resurrected." To help ensure the safety and security of all participants, members of the public dressed in costume will not be allowed to enter the listening session. Six protesters took the TVA to court, saying that the ban on wearing costumes was a violation of their First Amendment rights. They argued that none of their costumes obscured their identities or created a security risk. All of them were willing to provide identification and be searched for weapons before entering the TVA building. TVA asserts that the non-zombie costumes were nonsensical (i.e., the costumes were not associated in any way with the Bellefonte project or the earlier protests where members of the public were clad in zombie costumes). Accordingly, TVA contends, those costumes could not have conveyed any particularized message. [However] given the events that led up to the August board meeting, the likelihood was great that TVA board members and others associated with, or in attendance at, the board meeting would have understood, and did understand, the message. In the early 1980s, moral panic swept across the U.S. in response to the growing popularity of video games—and those dens of immorality known as "video arcades." Residents, worried their kids might become hopelessly addicted to PacMan and Space Invaders, have voted to ban videogames and pinball machines and gave owners three months to get them out of town. ''I'm a former narcotics officer, and I've seen what these machines do to kids and the amount of money that is wasted on them,'' said Tom Jackson, author of the anti-videogame regulation. Residents of the community just north of the Pilgrim town of Plymouth voted Tuesday night at a town meeting to prohibit the use, operation and possession of the games and to fine violators $200 for each offense — effective in three months. But, the video game industry won an important court case in 1980. A few years earlier, the small town of Mesquite, Texas had passed an ordinance restricting minors from playing video games at the local arcade. Attorneys for the arcade, Aladdin's Castle, argued that the law violated the freedom of expression of both the players and the operators of the games and that the city had denied people under 17 their constitutional right to free association. The decision to bar all people under 17 years of age from all coin-operated amusement centers at all times is patently irrational….Such disapproval may justify private action, such as the withholding of patronage, but mere disapproval is not enough constitutionally to justify bringing the full weight of the municipality's regulatory apparatus into play. Before coin-operated amusement centers existed, children found places and opportunities for truancy, and they would find places were such centers to become extinct. Singling out coin-operated amusement centers from all other establishments is an act of discrimination, not policy. Two years later, the Supreme Court heard an appeal, but bounced the case back to the 5th Circuit Court, instructing it to clarify whether its decision was based on federal or state law. The court let stand its decision that the age restriction was unconstitutional. California resident Mark Towle runs car customizing shop Gotham Garage, which makes replicas of cars from TVs and movies. Naturally, Batmobiles were on the menu, at least until Warner Bros. smacked Towle with a lawsuit for violating its intellectual property. Under normal circumstances, vehicles are subject to patents, with utility patents (on inventions that improve the functioning of a car, for example) lasting 20 years from the date of application and design patents (on the design of individual parts) lasting 14 years. But DC's suit alleged that Towle was in violation of its trademarks and copyrights. Judge Ronald Lew ruled that, in making and selling Batmobiles, Towle violated DC's copyright on the character of the Batmobile….Lew cited an earlier case, Halicki Films LLC, v. Sanderson Sales and Mktg. et al., which investigated whether or not the "Eleanor" car in the 1974 film Gone in 60 Seconds was a copyrightable character. 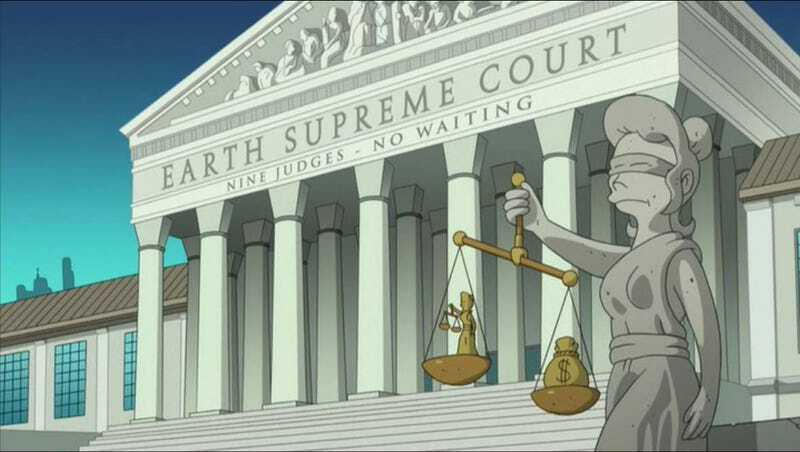 Although the Ninth Circuit did not resolve whether Eleanor was herself copyrightable, the discussion of the case indicates that a plain old non-sentient vehicle is not necessarily excluded from character copyright protection as long as it fulfills the other requirements of a character copyright. And, in Lew's analysis, the Batmobile fulfills those requirements. Fawcett Publications, which was founded in 1940, had an immediate hit on their hands with Captain Marvel, the character created by writer Bill Parker and artist C.C. Beck. In fact, Captain Marvel soon began outselling his spandex-clad predecessor, Superman. National Comics, then the publisher of Superman, sued Fawcett for copyright infringement. Initially, Fawcett ceased publication of Captain Marvel—but, because the title was so important to the company, it eventually decided to take its chances in court. The case dragged on for years and, at first, the U.S. Court of Appeals, 2nd Circuit, issued a decision that represented both bad news and good news for Captain Marvel. Both "Captain Marvel" and "Superman" have the same athletic physique. Both have substantially the same clean-cut faces. Both wear the conventional regalia of the gymnast or circus acrobat — skin-tight uniforms, boots, and a cape which is used in flying. The only real difference is in the color of their costumes, "Superman's" being blue and "Captain Marvel's" red. The incredible feats, performed by both, such as leaping great distances, flying through the air, exhibitions of marvelous strength and speed, and imperviousness to bullets, shells, explosions, knives and poisons, are identical, and the settings in which the feats are performed are often closely similar. Substantially all of the feats performed by "Superman" are later duplicated by "Captain Marvel." Identical phrases, expressions and dialogues are frequently found in the panels. But, the good news for Captain Marvel was that the court ruled that National Comics had never fully copyrighted all of its Superman strips. That victory, however, was fleeting. A year later, in 1951, National Comics appealed the case, and this time the court ruled entirely in the Man of Steel's favor. By this time, Captain Marvel wasn't the moneymaker that he had once been. (The popularity of all superhero brands had begun fading, with the emergence of horror comics.) So, Fawcett didn't challenge the decision—it paid National Comics $400,00 and killed off the Captain Marvel line. The court determined that creators cannot "realistically" depict a celebrity in fiction, even if they do not use the celebrity's name. This would be a violation of the celebrity's "right of publicity," which is sort of like the right to privacy for public figures. Based on this ruling, a court might actually be able to issue an injunction against showing a movie like The Social Network, because it realistically depicts Mark Zuckerberg. But it's even weirder than that, because the celebrity in this case wasn't even named in the game where his so-called likeness appeared. He was just depicted in a "realistic" way. Imagine you're writing a hard science fiction story about the near future, and you want to include references to today's celebrities or political figures — but 20 years from now. Or maybe you just want to include people who are kind of like these celebrities. Either way, this ruling could allow those celebrities to sue you for using their likenesses. What's dangerous about this ruling is that it punishes creators who strive for realism. Futurama's use of famous people's heads in their stories would likely be protected because the scenario isn't "realistic." But that dark, futuristic story you were thinking of writing about the exploits of an American ex-president who is obsessed with placing his entire nation under surveillance using drones? That might just be so realistic that it gets your story sued out of existence. 8) Star Wars v. "Star Wars"
When the Reagan administration unveiled the Strategic Defense Initiative in 1983, the media—and soon, everyone else—began referring to the proposed orbiting arsenal of interceptors and lasers as the "Star Wars" program. The litigious creator of the Star Wars franchise, George Lucas, tried to put a stop to this use of his trademark. He sued two public interest groups, High Frontier and the Committee For A Strong Peaceful America for using the "Star Wars" name in their advertisements that were, respectively, opposed to and in favor of SDI. Not so long ago, in a studio far, far away from the policymakers in Washington, D.C., George Lucas conceived of an imaginary galaxy where fantastic creatures and courageous knights battled an evil empire with spaceships, "blaster" guns and light sabers. Meanwhile, in the real world of defense strategy and international politics, newspapers, politicians, scientists and spokesmen of allied and enemy nations have chosen to characterize the Reagan Administration's Strategic Defense Initiative (SDI) as its "star wars" program. SDI seeks to develop defenses against a nuclear attack with weapons based in space somewhat reminiscent of those depicted in the STAR WARS movies. When politicians, newspapers and the public generally use the phrase star wars for convenience, in parody or descriptively to further a communication of their views on SDI, plaintiff has no rights as owner of the mark to prevent this use of STAR WARS. Even though the descriptive meaning is originally derived from the trade use, courts obviously cannot regulate the type of descriptive, non-trade use involved here without becoming the monitors of the spoken or written English language. Since Jonathan Swift's time, creators of fictional worlds have seen their vocabulary for fantasy appropriated to describe reality. Trademark laws regulate unfair competition, not the parallel development of new dictionary meanings in the everyday give and take of human discourse. Plaintiff is in the difficult position of objecting because what he has depicted as fantasy may be frightening when depicted as a potential reality. Plaintiff must be left to his own devices to maintain the strength of his trademark by making the differentiation clear and convincing. The attorneys for Tennessee resident Gary Lee Bouldin presented an impressive list of medical evidence to support the claim that he had been unjustly denied Disability Insurance Benefits from the federal government. Judge E. Clifton Knowles, however, was underwhelmed by the dubious assessments of Bouldin's health—including a statement saying that Bouldin's passion for collecting Star Trek memorabilia was evidence that he couldn't fully function as an adult. The fact that the claimant collected Star Trek memorabilia into his 40s, while perhaps not the norm in rural Tennessee, is a hobby that literally tens of thousands, if not hundreds of thousands of people routinely engage in, as evidenced by the well-attended Star Trek conventions and brisk sales of Star Trek memorabilia on Ebay. Some people even dress up as their favorite characters on Star Trek when attending the conventions. This does not establish they are mentally ill. In January 2011, Asus announced the release of its first "Eee Pad Transformer TF 101 tablet." According to Asus, it chose the term "Transformer" because the tablet could transform into a laptop when connected to its mobile docking station. Nine months later, the company announced the second generation of its product, the "Eee Pad Transformer Prime"— so named, because it was a "premium tablet slated to be the world's first tablet computer to offer the NVIDIA Tegra 3 quad-core processor." Hasbro's attorneys leapt into action, claiming trademark infringement against the Transformers robots and the company's newest animated series, Transformers Prime. Hasbro points to the fact that a Google search for "optimus prime tablet" picks up Asus's "Transformer Prime" tablet, a search for "Transformer prime" causes Amazon to search its own site for "Asus transformer prime," and that a search for "transformers prime" returns "several Asus hits and Transformers Prime hits." According to Hasbro, this "overlap in search results is bound to cause confusion." Judge Philip Gutierrez, however, was not won over by the argument, noting that buyers of high-end electronics, who would be paying $550-$750 for an Asus tablet, "can be expected to exercise greater care in making purchases" and are less likely "to be flummoxed by search engine results than the general population." Another key legal issue was whether the word "Transformer" was a reasonable, descriptive term of the tablet, or if it fell into the same category as "Visa"—a word that could found in any dictionary, but had become so famously associated with a brand name, that its use would be considered infringement. Here too, the court decided against Hasbro, arguing that, despite the success of the Transformers franchise, it was not enough of a "household name" to claim exclusive rights to the term. Expect the courts to revisit this case if anyone manufactures a Decepticon tablet.